Quaintrelle: (n.) a woman who emphasizes a life of passion, expressed through personal style, leisurely pastimes, charm and cultivation of life's pleasures. We had a brief warm front come through Wisconsin a few days ago, so naturally I decided to opt for my favorite striped vest instead of my usual puffy, insulated coat. 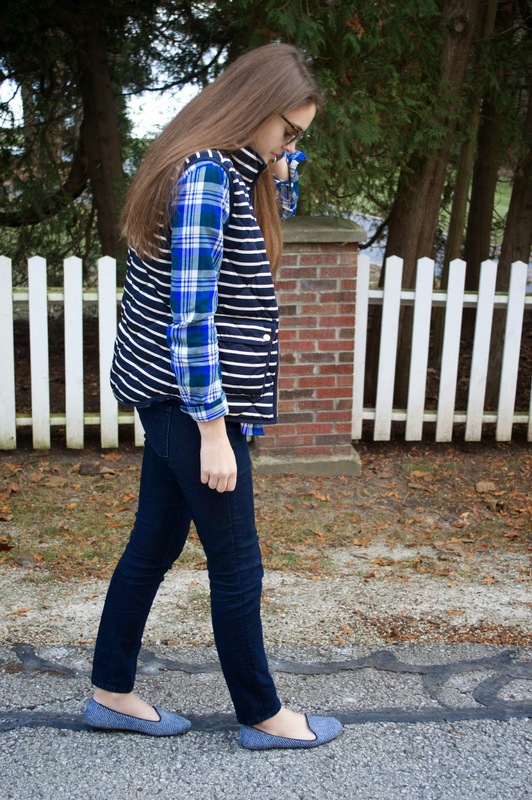 It's so perfect for layering and looks especially fun when mixed with other patterns like the blue plaid of this flannel shirt. It's a great outfit to throw on the weekend or on out of uniform days for me when we are required to wear navy and gold (my school's colors). 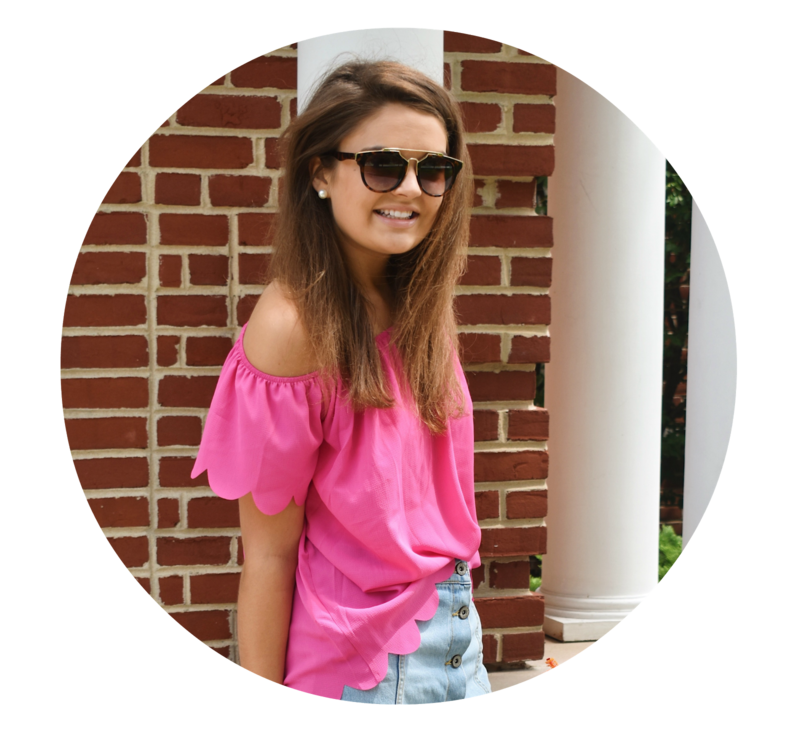 Not to mention, I've been really into graphic tees ever since fall, so when Corilynn & Co offered to send me one to style, it was a no brainer. Ever since the tee arrived, I've been obsessed with the word quaintrelle and it's meaning. I feel as though the word truly captures the woman I aspire to be and let's be real, any word that ends in "elle" is just perfect on a shirt! You have to check out their pieces because they are some of the cutest skirts I've seen in my entire life (this gingham one has to be my favorite). Are you a graphic tee fan as well? 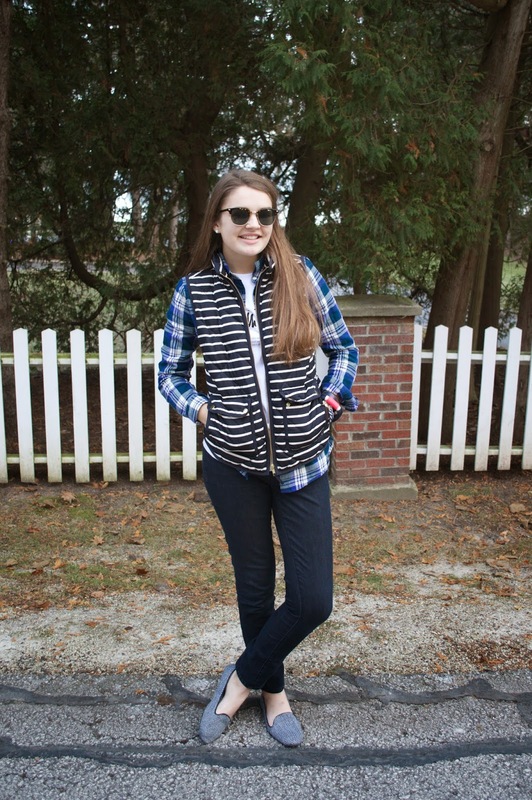 I'm wearing this vest on my blog today as well! 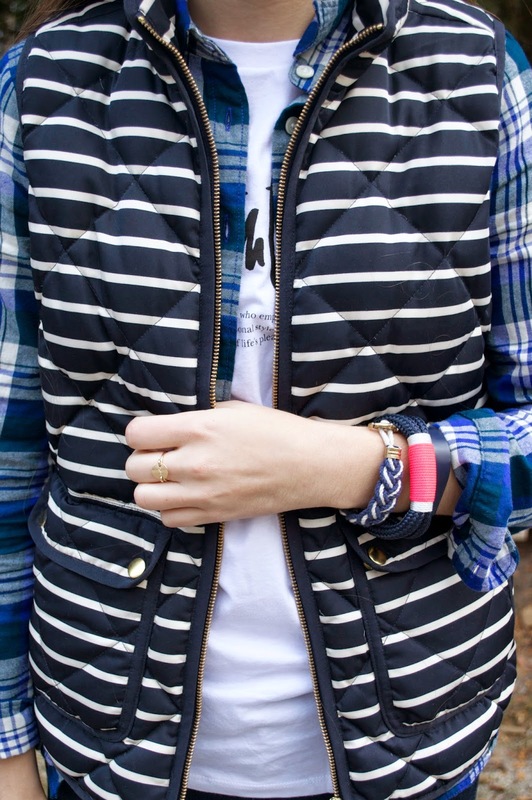 Seriously such a cute vest. 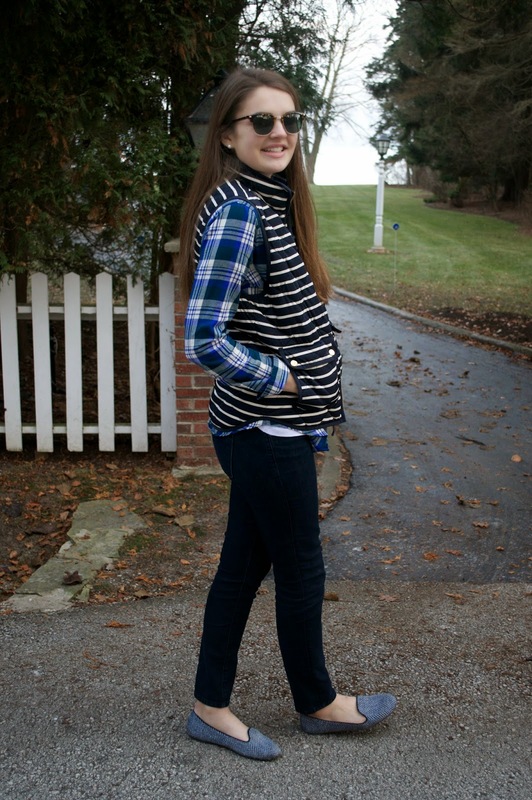 I love how you styled it with plaid and your adorable shoes! I love that shirt! I will definitely have to check out their brand! 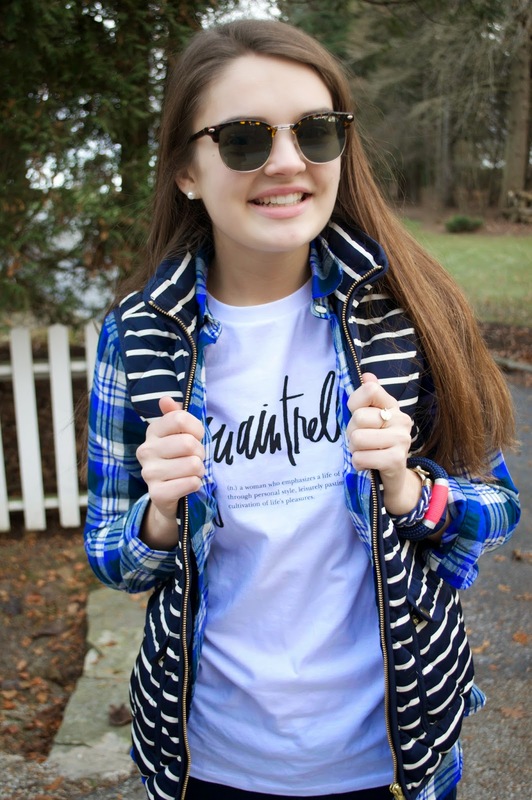 Love the message of the shirt, and that pattern mixing of the striped vest and plaid shirt are perfect! I love that vest! And those sunglasses are adorable as well :) They remind me of vintage RayBans.